Central Caravan Park (Corner of Princess Highway and Bruce St, COLAC) 17th - 19th October 2014. This rally is being managed by the Western Districts Caravan Club and Wimmera Caravan Club, all contacts should go to Chris Ovens. 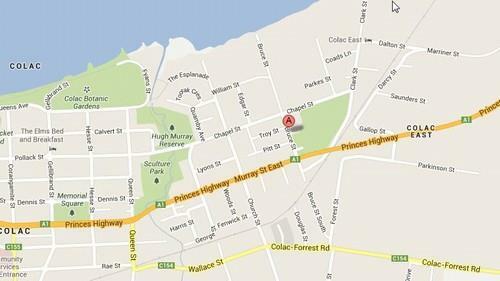 The Colac Central Caravan Park be found at Bruce St, Colac VIC 3250. Select the PDF icon to view, download or print the Registration Form for the 2014 State rally to be held at Colac. of the Western District Caravan Club.